At first I was worried that I would have trouble finding content for this comic. Luck struck on Tuesday. 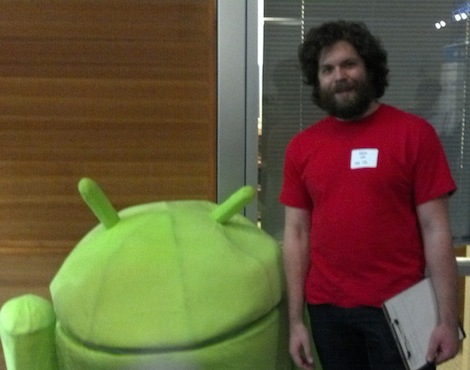 While recruiting at a career fair, a wearable Android suit showed up for the Google booth. I'd even already drawn the comic! It's nice that images take up so much space.